Look towards Don and Nona Williams Stadium on any given Tuesday or Wednesday and you’ll see students playing flag football. Intramural flag football is for anyone who has a mild sense for the game, and can be a great way to relieve the stress of everyday college life. Don’t let the fact that it’s just an intramural sport fool you though. 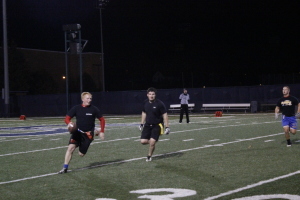 According to freshman Billy Mernik (Orono, Minn.) flag football can get very competitive. Mernik, a packaging student, says that he lives for the team’s weekly football games. While competition can be intense, the teams usually have a go with the flow attitude. Andy Chiodo (Fr, Lino Lakes, Minn.) says that they are very flexible with what positions people play. 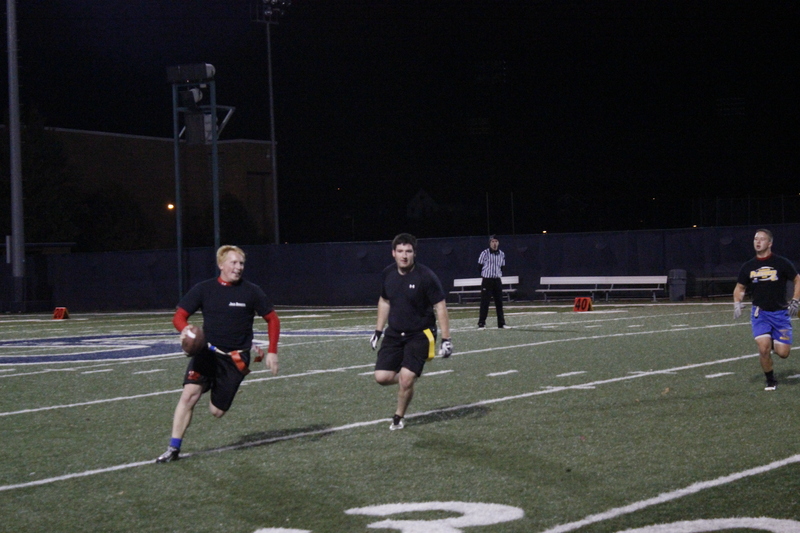 Flag football is a great way to stay in shape and meet some new people. Students get very into it, designing plays and snap counts to catch the opposing team off guard. McKown plays on the same team as Chiodo and Mernik. Their squad currently has a 0-5 record but they all agree that the record isn’t important–it’s about having fun. “I decided to play flag football because I love the game of football and even better, I get to play it with my boys,” said McKown.